My life has been comprised of numerous personal and professional transitions. Some were chosen, others not. In the long turn, all turned out to be positive experiences, often including enriching and unexpected opportunities. Born in Kinshasa (DRC), I grew up in Germany and then in the French-speaking part of Switzerland. My origins are Swiss, German and Italian. An expatriate for more than twenty years, I have lived and worked in more than ten countries in Africa, the Middle-East, Russia, Europe and North America. Before starting to work as a self-employed coach and speaker, I had very different careers: an elementary school teacher; a manager of professional musicians; and a humanitarian aid worker for the International Committee of the Red Cross (ICRC), working during ten years in war zones. 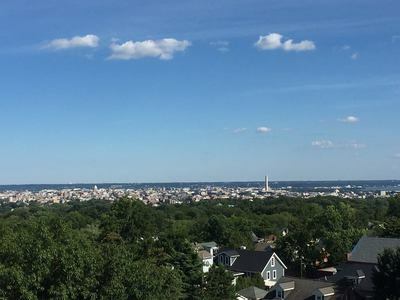 I also experienced many different facets of expatriation: single, as a couple and with a family of two children; as an employee and as self-employed; as an accompanying spouse; as a student; as well as a return to my home country for 5 years. Out of all these changes, two transitions were particularly challenging for me. Professionally, leaving the humanitarian field to find a job as meaningful was especially complicated. On the personal side, becoming a parent marked a real turning point in my life, disrupting my priorities, values, life balance and goals. The two transitions occurred simultaneously. During that time, I experienced a long period of questioning, looking for the right balance to combine the mobile and international career of my husband, my wish to be a mother present for my children and my need to flourish professionally. Eventually, at 42, I decided to study again to get certified in coaching and positive psychology. Today, I am lucky to have a job I love and that I am passionate about. Knowing what I know now, I am sure that if at that time I would have had a coach and the right tools, most probably I would have lost less time questioning myself, procrastinating; and I would have certainly understood faster what I really needed and wanted in my life. 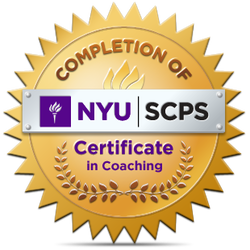 I am certified in personal and professional coaching from New York University (NYU). 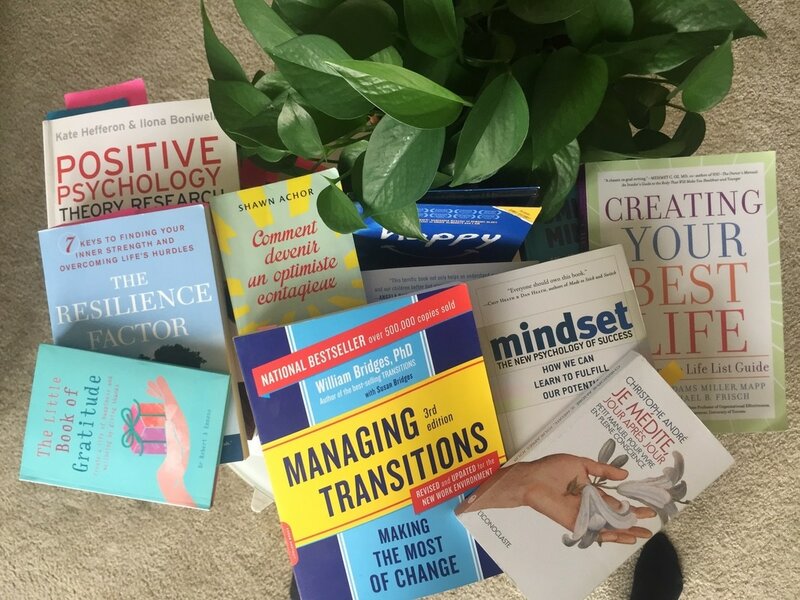 Willing to further deepen my knowledge to offer a large array of tools to my clients, I am also certified in positive psychology, emotional and social intelligence, as well as in the DiSC® assessment. My certification in positive psychology changed my life. 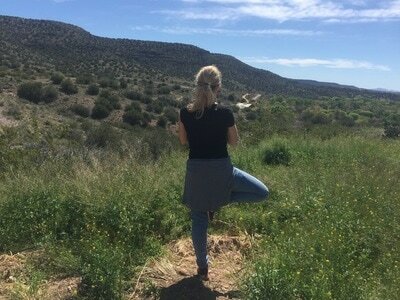 It allowed me to discover, try out and integrate scientifically tested tools to increase my level of wellbeing, concretely and sustainably facilitate the changes I am looking for, better understand and take care of myself, strengthen my resilience skills, and create a fulfilling life. Change is not easy. However, we live in a world where everything changes all of the time and where life is inevitably made of transitions. In those circumstances, it seems to me essential to get equipped and learn how a transition and our brain function; understand why it is so difficult; and what are the tools that facilitate positive and sustainable changes. Today, these various personal and professional experiences are part of my identity, my strengths and my assets. It naturally led me to work with expatriates and humanitarian aid workers seeking to achieve positive and sustainable changes in their personal and professional life to increase their well-being and efficiency, both at home and at work. 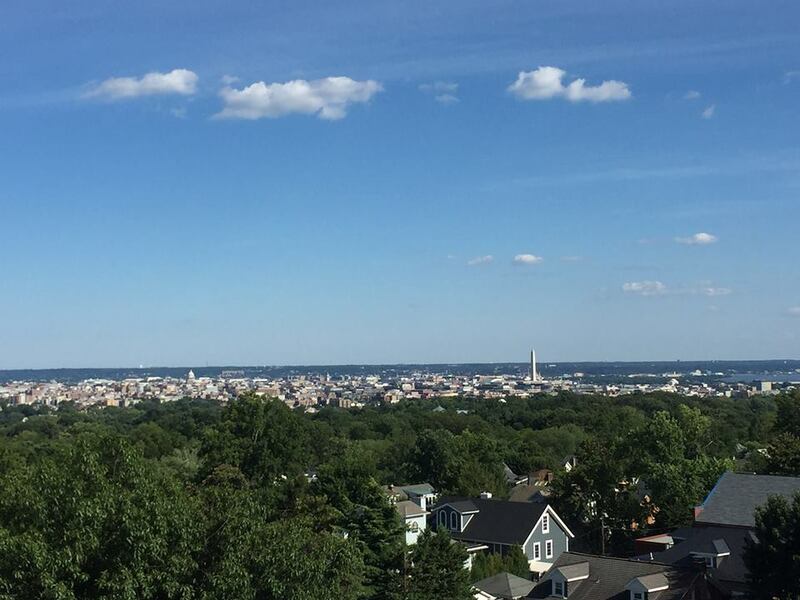 Currently I live in Washington DC, from where I help my clients wherever they are in the world. 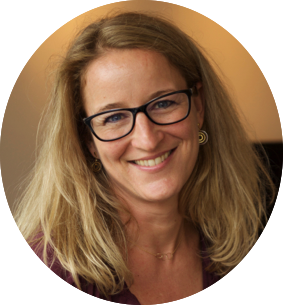 My services include coaching and workshops, both in English and in French. As a self-employed entrepreneur and mother of two, I practice the tools I offer to my clients on a daily basis…. to make sure I continue to bounce back well when facing stress, increase my well-being and create a fulfilling life for myself. And to always train my happiness muscle! I am driven by the conviction that any change might be an opportunity to recreate oneself. Facilitating positive and sustainable changes in the life of my clients and transmitting what I have myself experienced and learned... it is what I love the most about my job today! 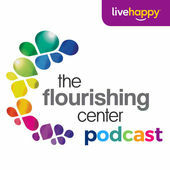 Listen to this interview in English for The Flourishing Center's podcast, posted on the website of Live Happy Magazine. I love reading and writing. For the last few years, I practice mindfulness and meditation on a daily basis. It is a tool with multiple benefits. Most of my coaching sessions and workshops integrate mindfulness exercises.